2019 Lok Sabha Elections: Raman Singh said, "... UPA mein khalbali machi hai (there is commotion in UPA). SP, BSP and Congress had looted the country and the people saw it before 2014 ... Mamata Banerjee and Chandrababu Naidu are also forging 'thag bandhan'". 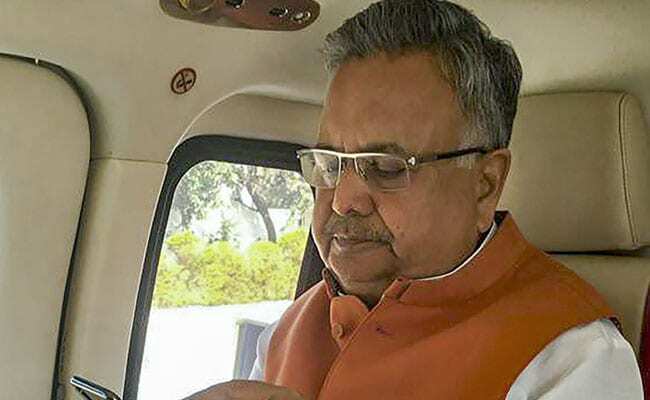 Former Chhattisgarh chief minister Raman Singh Tuesday termed the "mahagathbandhan" (grand alliance) of opposition parties as "thag bandhan (alliance of cheats). Mr Singh, who is now the BJP national vice president said the opposition leaders were forging mahagathbandhan" as they are afraid that the BJP will return to power again. "... UPA mein khalbali machi hai (there is commotion in UPA). SP, BSP and Congress had looted the country and the people saw it before 2014 ... Mamata Banerjee and Chandrababu Naidu are also forging ''thag bandhan'' to challenge Narendra Modi as another five years of Modi rule will clear the path for jail of corrupt leaders," he told a rally in Jharkhand capital Ranchi. Addressing the BJP's Shakti Kendra Sammelan at Harmu ground in Ranchi, Mr Singh asked the BJP workers to "remain alert" and termed the Lok Sabha elections as "dharam yudh" (contest of righteousness). He accused the Trinamool Congress government in West Bengal of "disrespecting" institutions like the CBI and "killing" BJP workers in that state. Mr Singh said Jharkhand had seen nine governments during the first 14-years since its creation in 2000 during which many scams were reported and even an Independent MLA (Madhu Koda) became the chief minister. "Had I taken some of the yojanas (schemes) of the Raghubar Das government and implemented them in Chhattisgarh then I would have won for the fourth term," he said. Warning the BJP workers against "over confidence", Mr Singh spoke of a cricketing anecdote on the BJP losing power in Chhattisgarh saying, "It was not the Congress, we took self-wicket in Chhattisgarh (in the assembly polls last year)." Crediting the Raghubar Das government for driving out maoists, Mr Singh said peace was necessary for development.